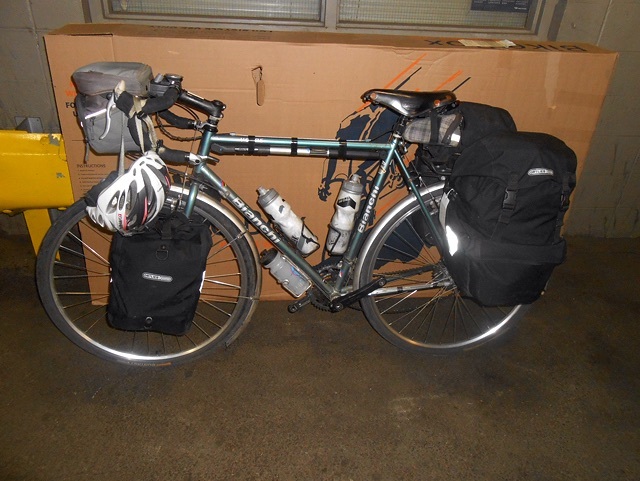 This is the box my Bianchi Volpe touring bicycle traveled in from Los Angeles to Chicago. I had to remove the handle bar from the stem. It was then taped to the frame. I also removed the pedals. Because the bracket for the handle bar bag was in the way, I removed it also. 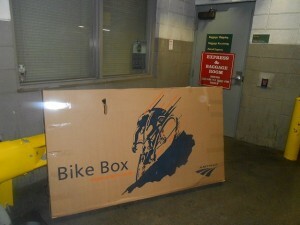 Then the bicycle just rolls in to the box. There was not much space left at the end. I was able to leave the saddle in place. Amtrak charges $15.00 for the box plus a $10.00 check in fee. 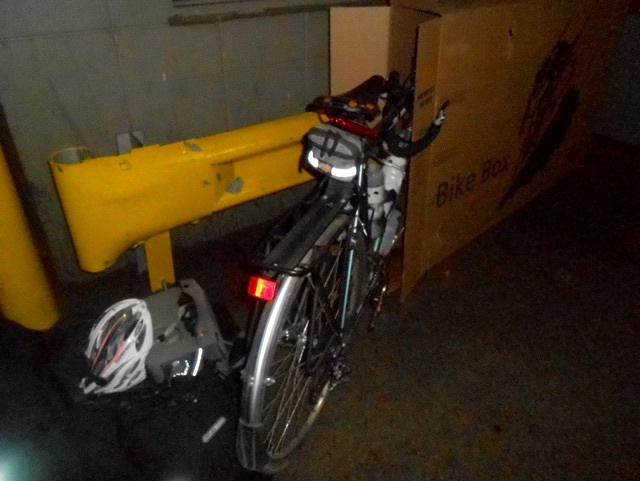 On my trip to Seattle, I used a box from a local bike shop. I had to remove the front rack and fender, the handle bars, seat post and saddle. It took a long time to dismantle and a long time to reassemble when I arrived. The Amtrak box is much easier to work with. With the bicycle out of the box in Chicago, I just reassembled the handle bar to the stem and put the bracket for the handle bar bag back in place. 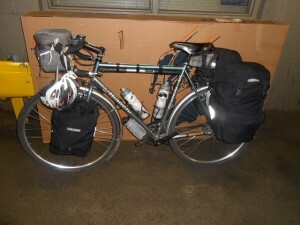 Then I put the panniers on and I was ready to take the bike home. If you are at Union Station in Chicago in the afternoon, you will find that you cannot take a bicycle on a commuter train between 3pm and 7pm. That left me with a long wait for the 7:40pm train. Traveling with your bicycle on Amtrak works well. It is likely to cost less than taking a bicycle on an airplane.